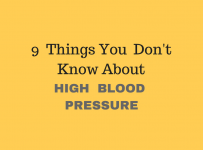 Rosacea can become triggered by high blood pressure. Certain medications used to treat high blood pressure and other cardiovascular diseases can cause rosacea flare-ups. Rosacea is a common skin condition. It causes skin changes that look like acne (redness and red spots) affecting mostly cheeks and nose. It gets worse with sun exposure, spicy foods, and alcohol consumption. Patients affected by rosacea are between 30 to 50 years of age, mostly women. The immune system, produces its own antibacterial agents that fight disease and heal wounds. These are protein substances that eliminate harmful bacteria and activate other parts of a complex immune reaction. Skin irritation or infection may stimulate their production and research evidence suggests that they could trigger the onset of rosacea. The skin is the human body’s largest organ, colonized by diverse microorganisms, most of which are harmless or even beneficial to humans. Damaged skin can change the growth equilibrium of those innocent bacteria making them harmful. Although rosacea does seem to run in some families, it is unclear whether heredity plays a big part in this. However, there are certain studies that have identified a genetic basis for rosacea. A National Rosacea Society survey revealed that a 40% of rosacea patients surveyed could name at least one relative with similar symptoms. In addition, there is evidence that ethnicity could increase one’s potential to develop the condition. Eye symptoms: redness, soreness of eyes and eyelids, sensitivity to light or blurred vision in cases of rosacea keratitis. Fair-skinned people have more obvious skin all skin types can be affected. Face burning or stinging sensation. Skin of the neck, chest, scalp and ears can be also affected. Caffeine -The culprit in a cup of coffee is not actually the caffeine, but rather the hot temperature of the beverage. Another trigger of rosacea flair-ups could be the so-called caffeine withdrawal syndrome, which is the symptoms following caffeine cessation after long-term coffee consumption in large quantities. Rosacea patients may have a high risk of cardiovascular disease so close follow-up of rosacea is recommended. A small study performed in Turkish population in 2013, found that patients with rosacea had higher levels of LDL cholesterol, (the bad cholesterol) and higher total cholesterol levels than those with normal skin. In a study in Taiwan population published in 2015 in the Journal of the American Academy of Dermatology, the cardiovascular comorbidities of rosacea patients were compared with those of people with normal skin – (Comorbidity = presence of more than one disease in a patient). The researchers found that rosacea patients had a 35% higher risk of coronary artery disease and 17% higher risk of high blood pressure than people who don’t have rosacea. Calcium channel blockers are first-line antihypertensive drugs for the treatment of high blood pressure. Flushing is one of the main clinical side effects of calcium channel blockers use, which appears in a 5% of patients even to those with no rosacea. These types of side effects, appear more frequently in women than in men (4.5 versus 1.5%, respectively). 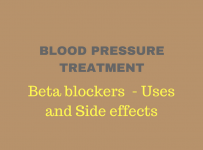 Side effects of blood pressure medications are the most common reason for a patient to give up therapy. However, rosacea is not found as a contraindication in the Summaries of Product Characteristics of calcium channel blockers. In any case, you can discuss with your doctor the possibility of substituting calcium channel blockers with another medication like beta blockers or water pills. Hua TC, Chung PI, Chen YJ, Wu LC, et al. 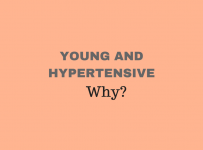 Cardiovascular comorbidities in patients with rosacea: A nationwide case-control study from Taiwan. J Am Acad Dermatol 2015 Aug;73(2):249-54.